Elasticated 100% leather soft soled booties, handcrafted in Dunedin by Lou. 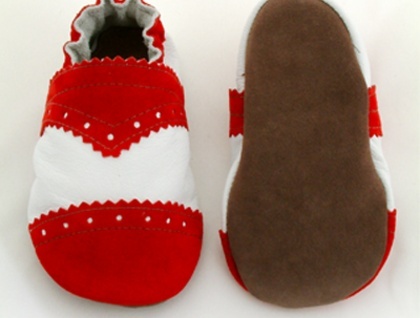 White / red suede with brown soling. 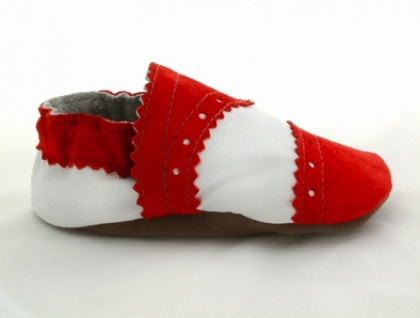 Podiatrists recommend infants wear flexible shoes to allow room for growing feet. 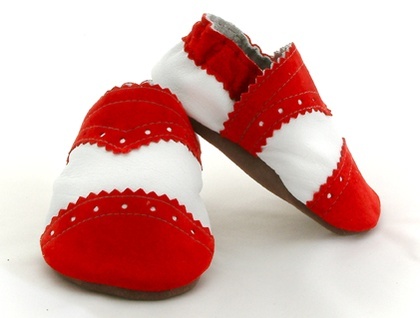 These shoes are made from soft calf hide and have non-slip suede soles which are double-stitched to add extra strength. Elasticated ankles make them easy to get on and off. A downloadable Size Guide can be found on the Lou's Shoes website.